It is rightfully packed tomorrow. We’ve got it all. There is a top well-known innovative manager who happens to be on one of the most famous implementations in the world (the Dallas Cowboys) sharing tips from her own experience. Deep Power BI demonstrations from a top consultant at a top firm in Clients First Business Solutions. Last but not least, A founder and world expert from MCA Connect will be visiting to share the knowledge on Master Planning. 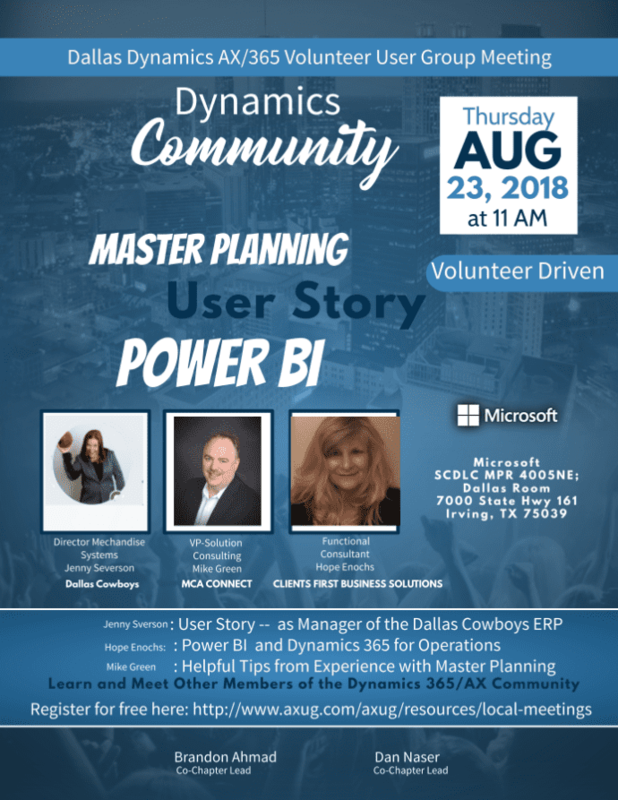 Enjoy because tomorrow will be special. .
Dynamics Dallas Chapter Meetup Agenda and Link.